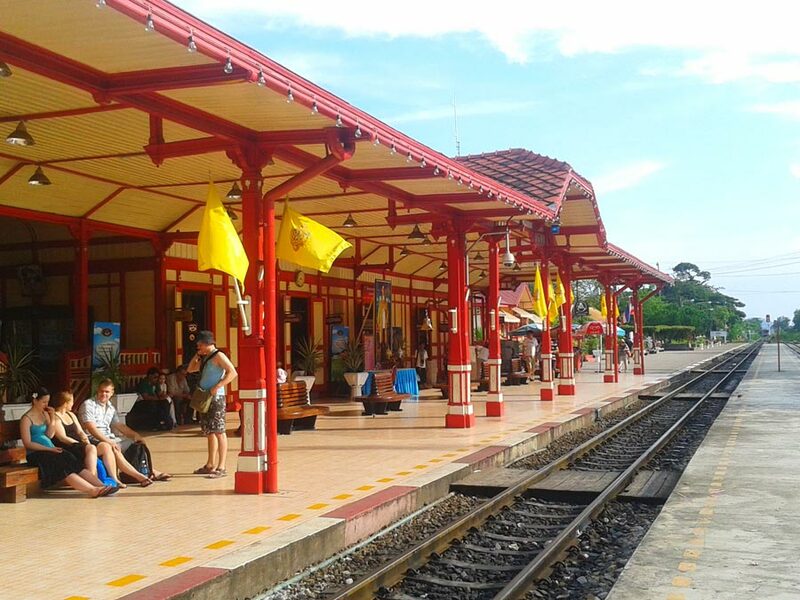 Hua Hin railway station is one of the most popular tourist attractions, located at Hua Hin sub-district in Thailand. It is a two-story train station. This is one of the oldest and most beautiful stations in Thailand. The main feature of the station is the royal waiting room constructed to welcome King and his court when they used to visit the town by train from the capital. 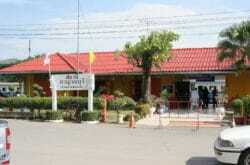 The station is located 212.99 kilometres from Thon Buri Railway Station. The station building is largely made of wood and designed in Victorian style. A combination of red, yellow and other striking colours make the station captivating. Initially it was constructed in 1910 but it was rebuilt in 1925 in current style. 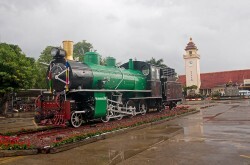 Hua Hin railway station is near the city centre and 800 metres walk from Hua Hin beach. 12 trains a day depart from Hua Hin to Bangkok and 11 trains a day depart from Hua Hin to Surat Thani. Hua Hin railway station is a small station with 2 platforms. The station has a limited range of facilities. The station has toilets facility. There is a small shop on Platform 1 selling snacks and drinks and a luggage office and cargo and parcel office. If you want to have a full meal, you should find some other ways to appease your appetite as you can get only snacks and drinks at Hua Hin railway station. You can easily get tickets as the ticket counters are open 24×7. There are train arrivals and departures at nearly all times of the day. You’ll get ticket counters rarely busy and won’t have a difficulty in getting tickets but you might have some difficulty, if you try to book a sleeper seat on the same day when you travel. Ticket prices are cheaper if you buy a ticket outside of peak periods – the time of Thai national holidays. If you want to secure a sleeper seat, you should buy the ticket in advance. 12Go.asia is an excellent online service for booking train tickets. 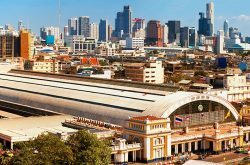 The first train to Bangkok departs very early in the morning 00.45 and keeps running until the late afternoon 16:01. The fastest train completes the journey in 3 hours 33 minutes. Check trains from Hua Hin to Bangkok here. The first train to Surat Thani departs at 02.24 and the last train departs at 23:36. The fastest train covers the distance in 5 hours 26 minutes and the slowest trains cover the distance in 7 hours 54 minutes. Check trains from Hua Hin to Suratthani here. Here below is the live timetable for trains departing from Hua Hin Train Station.